Bottles label printing can be customized for wine, water, craft beverages, and more. Paper stocks for bottle labels include moisture-resistant BOPP and vinyl waterproof options perfect for beverages and liquids of all sorts including beer labels. We also have textured paper stocks well-suited for classic branding and upscale wine labels. We also offer a wide range of sizes including the most popular -- 2” x 2”, 4” x 3”, 4” x 2”, 6” x 4”, and “3 x 3” for cut-to-size labels; and 3.5” x 1.5”, 5” x 4”, 4” x 1.5”, 1.5” x 1.5”, and 6.5” x 1.5” for roll labels. This lets you print bottle labels for anything from wine and craft brews to chemicals and more. 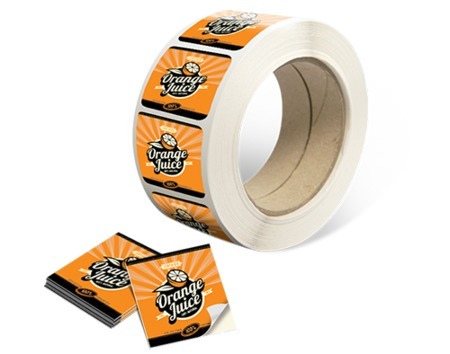 Same Day Turnaround: Cut-to-size bottle labels can be printed the same day you order them. Roll labels can be ready to ship in as soon as two business days. Our layout templates ensure that your bottle labels meet our printing guidelines for bleed lines and more. You can download the right layout template in an EPS, PDF, or JPG format. Bottle labels should do more than describe the contents. The type of label you choose makes an impact on how our bottle is perceived. With clear BOPP labels and a transparent container, they can be used to really show off what’s inside. Textured paper labels can be used to add an “Old World” touch to to any container. Custom shapes can be made to fit any brand or specific product line. With the right design, bottle labels can tell the world what your brand really means. To learn more about bottle label printing and and other label products, here are a couple articles from the PrintPlace Blog.